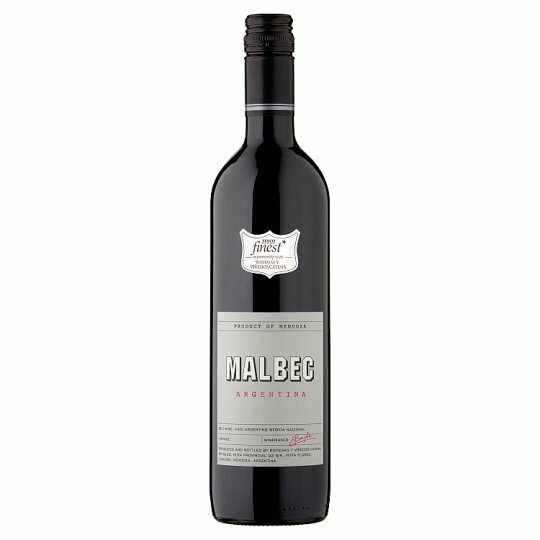 Argentinian Malbec. Mendoza. Wine of Argentina. Made by Argentina's celebrated Catena Family winemakers. Handpicked grapes, from the foothills of regions east of the Andes, are perfectly ripened, giving the wine elegant blackberry and plum flavours. Lighter notes of blueberry and white pepper develop into a long and fruity finish. Pair with red meats, full flavoured pasta and mushroom dishes. Store in a cool, dark place. The grapes were harvested in March and April, destemmed and crushed. Prior to fermentation the must was cold soak for 3 days. Fermentation occurred in upright steel tanks for 16 days at a temperature of around 28/30°C. This wine underwent malolactic fermentation to create a mouthfeel, before aging the wine in French and American Oak. Catena set out to discover the best places to plant vineyards in Mendoza, identifying the best microclimates for Cabernet Sauvignon, Chardonnay and Malbec. In addition, new techniques of cluster thinning and harvest practices were implemented to further increase concentration. This research program also led to the conclusion that the poor soils near the Andes, were actually ideal for quality viticulture. Mendoza is renowned for housing some of the best winegrowing regions of Argentina. The character of Mendoza wines is forged in high altitude desert vineyards irrigated by mineral-rich snowmelt from glaciers and snowfields. High altitude means cool temperatures and clear air, and clear air means more sunlight for building flavor in the grapes, helping to make Mendoza the source of Argentina's well-earned reputation for top quality, unique wines. Store in a cool, dark place. This wine can be enjoyed now or carefully stored up to two years from purchase. Once open, drink within three days.